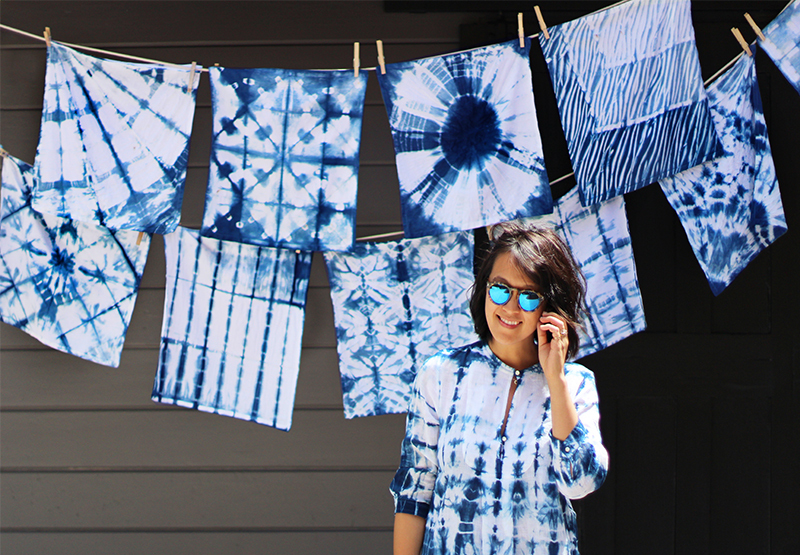 There’s a quiet revolution happening which originally had it’s routes in Japanese culture but for me will always sing of the seventies: Shibori tie dying.. But now it’s far removed from flower garlands and hippy communes and is steadily seeping it’s way onto the catwalk.. Even Michael Kors Resort 2015 can’t resist..
From MiH jeans who have a particularly fine range this season all in glorious indigos. I love this video..I want to be there and play! 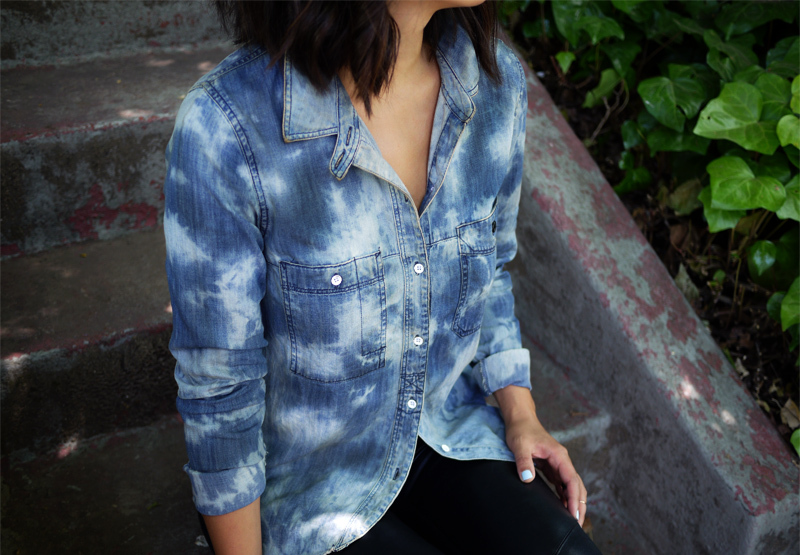 Or doing these techniques on a dark denim shirt with bleach instead of dye?? And I’ve just looked….and Honesltywtf have a tutorial for that as well! Suddenly I really, really want to get my hands dirty…. Oh, good! Another DIY project! I’ll look forward to your results (and I bet the kids would love to help on this one)! Ohh! Absolutely beautiful. Must try this myself. When we draw inspiration from a past trend, would you consider it creativity or plagiarism? There is something about the colour indigo that reminds me of cashmere, pearls and my mother’s blue eyes. 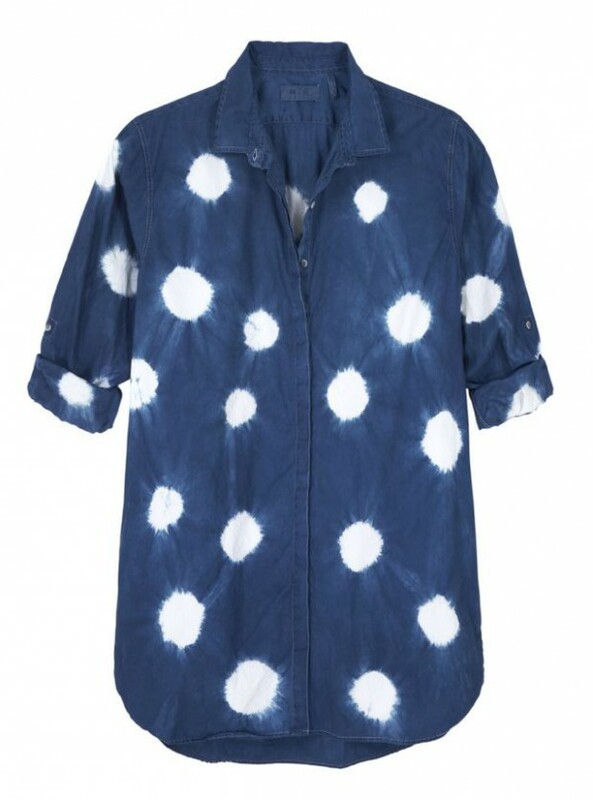 LOVE the tie-die polka dots. love the tutorial, definitely a MUST for this summer!